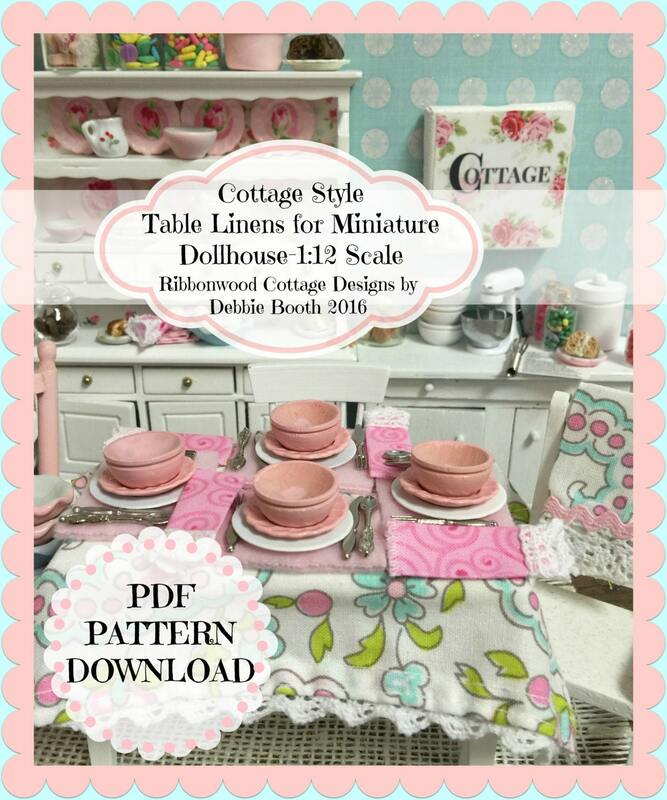 Ribbonwood Cottage Designs Digital PDF pattern will show you how to easily make table linens for your dollhouse sized table. With color photos and easy to read directions, I will show you from start to finish how to dress your table beautifully. 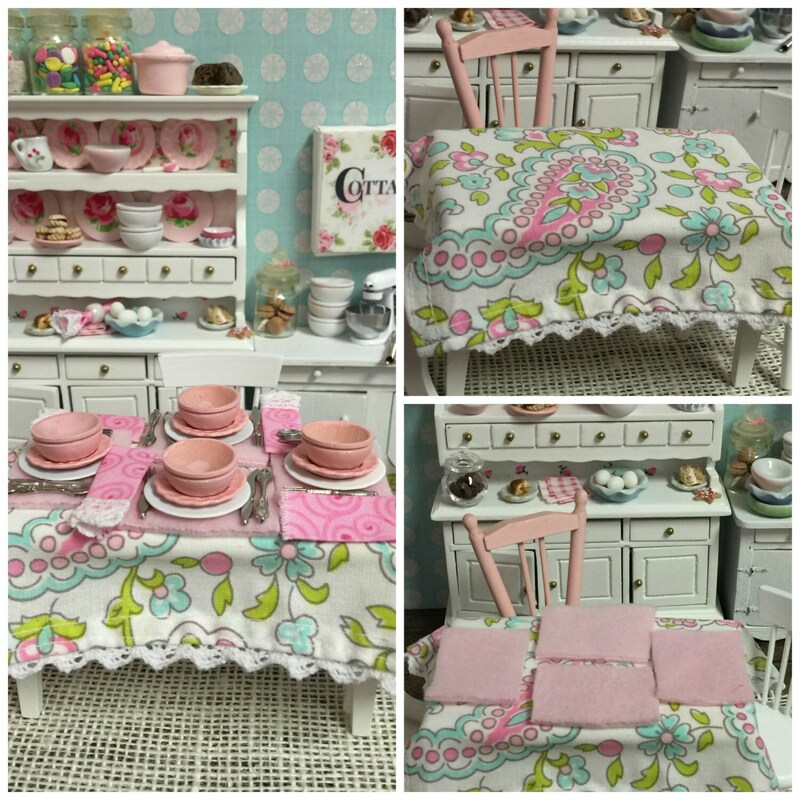 Beautiful fabric, but easy guidelines make your table stand out. You will see how to make a tablecloth for your rectangle table, layered with placemats, napkins, table runner. Also included I will show you my own easy technique for making the cutest hot pads with a loop included, and kitchen towels. If you can sew a simple straight line then you will have no problems making any of these projects. Very very simple. All my patterns are made with a beginner seamstress in mind. Or even a young seamstress just starting out. My mom taught me to hand sew when I was 4, and use a sewing machine by 2nd grade. Of course she was there to encourage and direct me. Easy pattern directions make all the difference and that is what I try to achieve while creating these patterns. 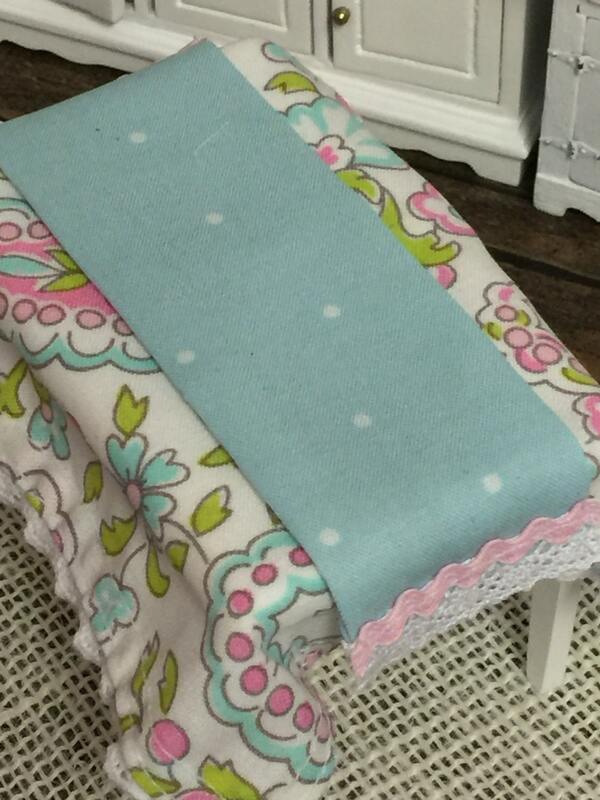 Cute fabric but sewing straight lines....people think you are very creative because it ends up looking adorable! 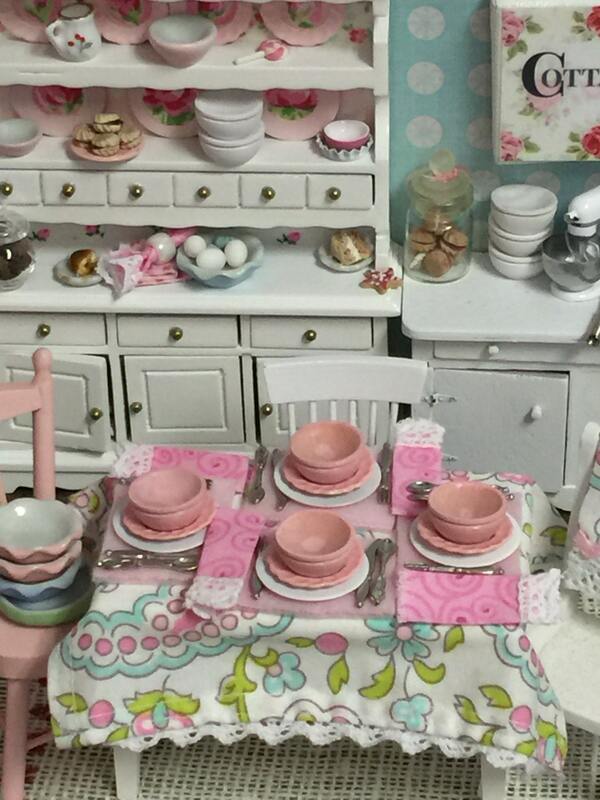 The dishes I purchased at Hobby Lobby, but they could also be ordered on Etsy. I hand painted them to go with the pastel theme of the pattern. One last thing....I use tweezers to place the silverware and tiny objects on the table. It just makes it so much easier than knocking everything over with your fingers! I hope you enjoy these patterns! 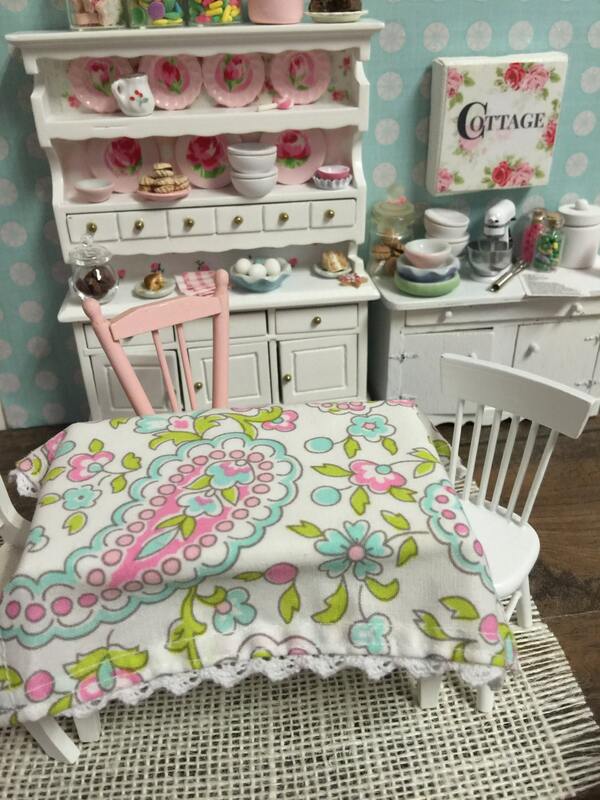 Be sure to check out the others for dollhouse bedding, doll embroidery, Valentine decor and so much more! You are NOT receiving any doll linens or supplies other than this PDF downloadable pattern. Nothing will be shipped to you. Another great pattern. Easy instructions to make custom linens. Easy to understand. Sent quickly. Thank you!